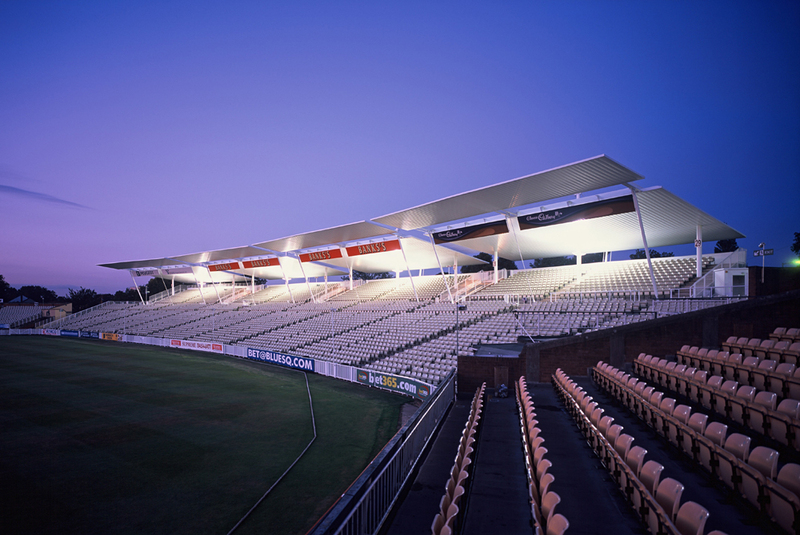 This 5900 seat stand makes an elegant, modern addition to Warwickshire’s ground and greatly increases the amount of covered seating. It represents a breakthrough in stand design being simple and quick to construct and excellent value for money at one third the ECB benchmark price. The design focused on the idea of a lightweight pitched canopy constructed from standardized components. 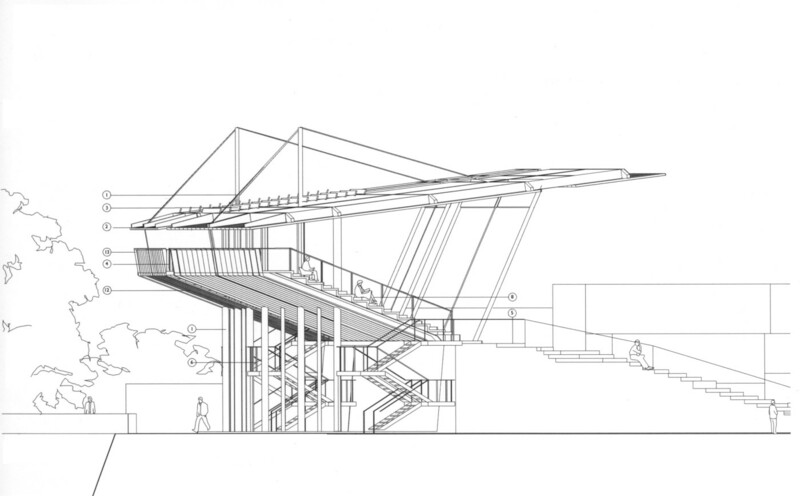 The aim being to create a series of roof planes that appear to hover above the crowd almost unsupported. The four solid bays are linked together with lightweight stairs and louvres which indicate the change in geometry. 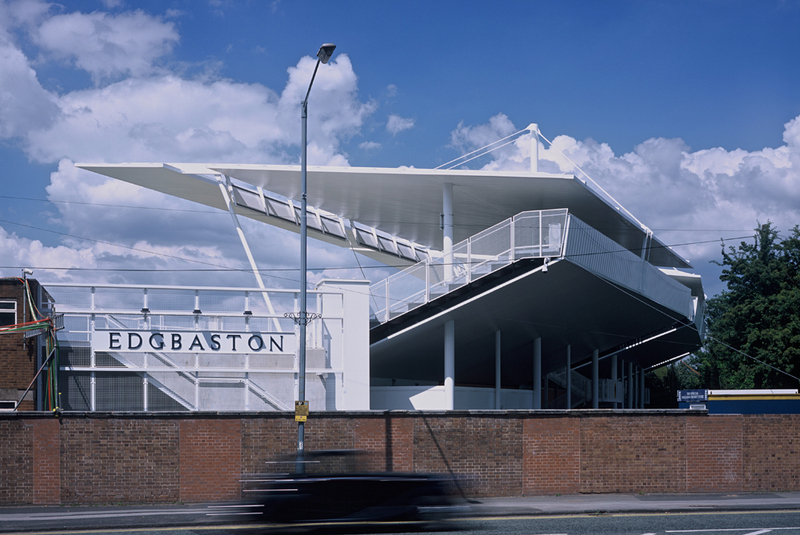 This repetition is carried through to the underside of the stand where each bay is expressed and linked with the brick panels below. 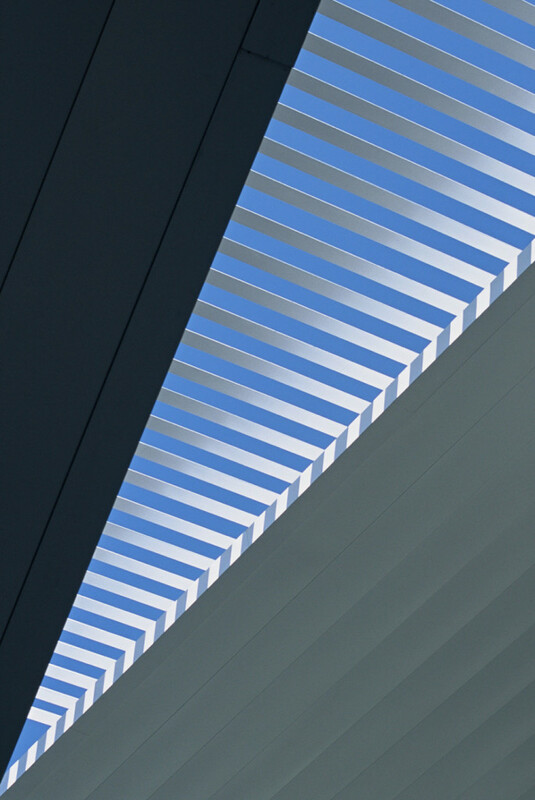 The lightweight cladding and the simple repetition ensured that the structural elements could be kept to a minimum using standard sections in an innovative way making the stand very economical. 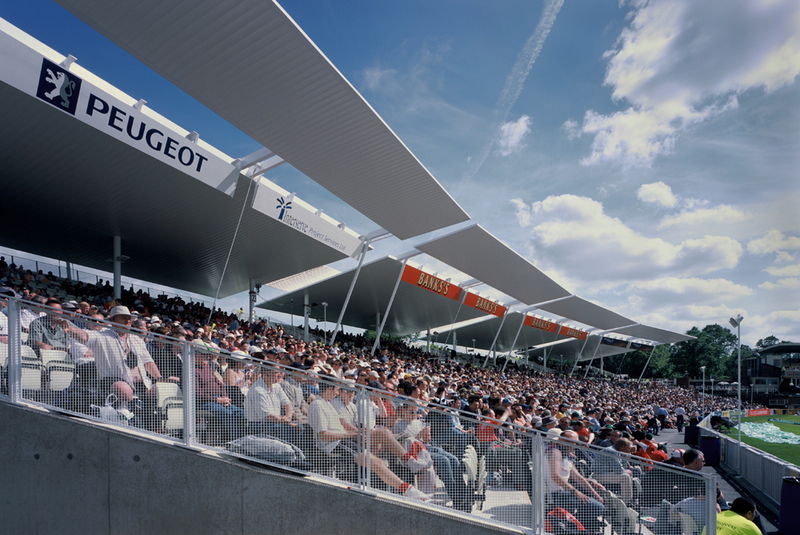 The resulting canopy is suspended from a simple steel mast structure that also supports the upper seating tiers.